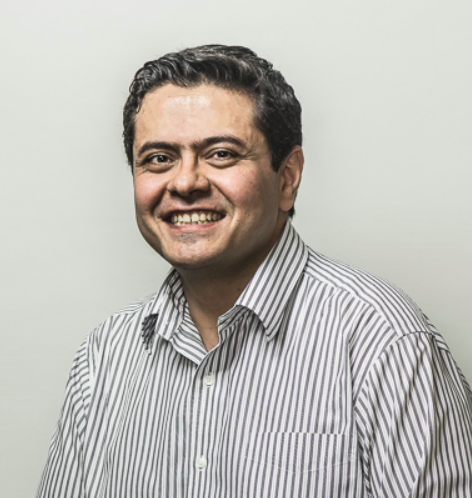 We are delighted to introduce our latest Lab on a Chip Emerging Investigator, Pouya Rezai! Your recent Emerging Investigator Series paper focuses on a microfluidic device to partially immobilise Zebrafish Larvae for behavioural screening. How has your research evolved from your first article to this most recent article? I started my work on organisms-on-a-chip with the C. elegans worm model. Our work was initially focused on C. elegans response to electric field in microchannels, a phenomenon called electrotaxis. We then became interested in using electrotaxis as a tool to screen movement of worms under exposure to chemicals. Recently, we have become interested in not only electrotaxis, but also chemotaxis of C. elegans and other model organisms such as Drosophila melanogaster and Danio rerio in lab-on-chips. We have developed multiple microfluidic devices for neurobehavioral screening of these organisms. Our goal is to continue working on the same models at the behavioural level but also focus on their cellular responses to stimuli. Our long term objective is to use our organism-on-a-chip devices for drug screening and toxicology studies in collaboration with academia and industry. Two major aspects of my work as a professor excites me the most. First and foremost is being able to teach and train young students in the fields of Mechanical and Biomedical Engineering that I am passionate about; and second is having the opportunity to apply my knowledge as an engineer directly to human health related issues. Due to the interdisciplinary nature of our research, I find the collaborative aspects of our work very rewarding for me and my trainees. In your opinion, what is the biggest benefit of immobilising Zebrafish Larvae for analysis over the conventional droplet-based technique? The most significant benefit is achieving higher sensitivity in quantifying subtle movement behavioural phenotypes of zebrafish in an easier and faster way. In droplets, you either need an expert to monitor movement manually or complex setups for tracking larvae’s movement in the droplet. With our technique, minimally trained personnel can quickly gain the ability to assay zebrafish movement under exposure to various chemicals. We develop devices for live organisms with the capability of making voluntary decisions while in the chip. One does not encounter this challenge with cultured cells or molecules. Decision-making generates opportunities to study sensory-motor responses at the whole-organism level, but also produces a wide variety of challenges in designing microfluidic devices and quantification of the desired biological processes. Another challenge is the general trend in the field to move towards biological models that better mimic human diseases and disorders. This has generated significant momentum towards the use of human-derived cells in biomimetic microfluidic devices. However, I still think there are many unanswered questions that can be addressed by small scale organisms. The International Conference on Miniaturized Systems for Chemistry and Life Sciences (MicroTAS) is my favorite conference to go to every year. Some other events that we attend are the MEMS and Transducers conferences. Time is the most precious thing in the world. The nature of an academic job requires a significant dedication of time to professional development, especially at the initial stages of your career. Is this a correct path that we have taken? Let’s not get there for now! Like many of my colleagues who are my role models and mentors, I rarely have any spare time to be spent on my hobbies. But the most important activity that I enjoy doing, and I wish I could do much more, is to spend quality time with my lovely family. After this, I enjoy nature and listening to good music. I would pursue the entrepreneurship path and start my own business to help resolve a pressing health related issue. One of the most influential factors during my professional career has been the opportunity to have excellent mentors and role models who have guided me throughout my postgraduate studies and academic career. The leaders in the field and their path to success have been very inspiring to me in the recent past. I recommend early career scientists to reach out to their communities and seek professional advise on their research and teaching activities. We are delighted to introduce our latest Lab on a Chip Emerging Investigator – Milad Abolhasani! 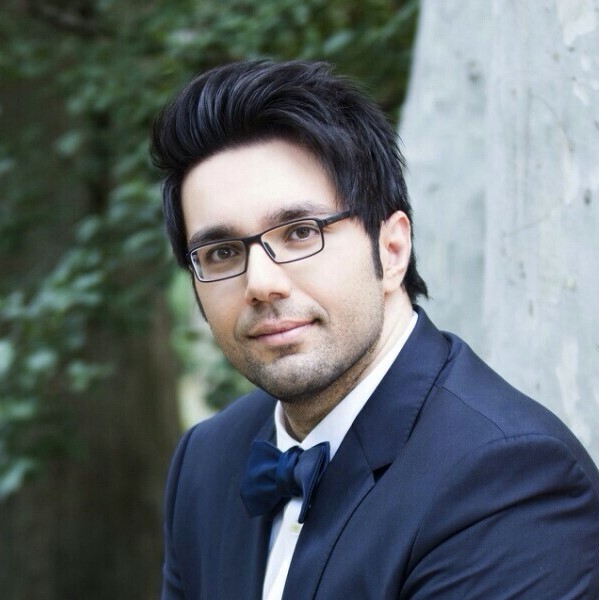 Milad Abolhasani is currently an Assistant Professor in the Department of Chemical and Biomolecular Engineering at North Carolina State University. He received his B.Sc. (2008) and M.A.Sc. (2010) degrees in Mechanical Engineering from Sharif University of Technology and the University of British Columbia, respectively. He then obtained his Ph.D. degree (2014) from the Department of Mechanical and Industrial Engineering in collaboration with the Departments of Chemistry and Chemical Engineering at the University of Toronto. Prior to joining NC State University, he was a postdoctoral fellow in the Department of Chemical Engineering at MIT (Jensen group, 2014-2016), where he developed a modular flow chemistry strategy for in-situ mass transfer and kinetic studies of single/multi-phase chemical processes including bi-phasic cross-coupling reactions and colloidal synthesis and ligand exchange of semiconductor nanocrystals. Dr. Abolhasani‘s research interests include the development of microfluidic technologies tailored for solution-phase processing of energy harvesting nanomaterials and for fundamental studies of transport mechanisms involved in CO2 capture, recovery, and utilization in green chemistry (enabled by switchable solvents). Over the course of his doctoral and postdoctoral research, Dr. Abolhasani received numerous fellowships and awards including NSERC Postdoctoral Fellowship, CSME 2014 Best Graduate Student Paper Award, Bert Wasmund Graduate Fellowship in Sustainable Energy Research, and Russell A. Reynolds Graduate Fellowship in Thermodynamics. Your recent Emerging Investigator Series paper focuses on studying colloidal perovskite nanocrystals. How has your research evolved from your first article to this most recent article? Well, my first research article as a graduate student (published in Lab on a Chip) was focused on the development of an inexpensive approach for rapid determination of thermodynamic characteristics of gas-liquid reactions using an image processing technique. Since then, I’ve expanded my expertise in multi-phase microfluidic systems with a focus on integrated systems with in-situ spectroscopy and/or in-line analytical characterization capabilities for material- and time-efficient studies of various physical/chemical processes. Few examples of such processes include homogenous catalytic reactions, partition coefficient of pharmaceutical compounds, colloidal synthesis of semiconductor nanocrystals, and hydrophilicity switching of switchable solvents. Despite different applications, the common theme among all multi-phase microfluidic technologies that I’ve developed so far has been the focus on realizing the early promise of microfluidics on minimizing the reagents volume used for each experimental condition while maximizing the amount of data obtained. My latest article builds on my experience in integrated microfluidic systems and in-situ spectroscopy techniques to study the effect of early stage mixing times on the optical properties of in-flow synthesized colloidal perovskite nanocrystals. Development of microfluidic technologies to contribute towards the next generation of energy-efficient and solution phase-processed photovoltaics. In your opinion, what is the biggest advantage to using colloidal organic/inorganic metal-halide perovskite nanocrystals for photovoltaics over the current materials? From materials perspective, hybrid organic/inorganic perovskite nanocrystals are inexpensive and can be manufactured using solution-phase processing techniques. In addition, these shiny nanocrystals possess high surface defect tolerance, high and broad absorption coefficient, high quantum-yield, and long charge carrier lifetime and diffusion length. Combining the superior physicochemical properties of colloidal perovskite nanocrystals with precise band-gap engineering and unparalleled experimental parameter control offered by multi-phase microfluidic platforms make them a promising candidate for the next generation photovoltaics and LED displays. Learning about details of different steps involved in manufacturing thin-film solar cells. It is challenging but fascinating to learn. I am currently conducting this interview from MicroTAS 2017 conference in Savannah, GA. I will be attending the Annual AIChE meeting in Minneapolis, MN, between Oct 29 – Nov 3. I would most probably choose to become an architect. I was (and am) always fascinated by “futuristic looking buildings” around the world such as Galaxy Soho in Beijing and Notre Dame du Haut in Ronchamp. The level of attention to details and precision in engineering are just mind-blowing. In my opinion, focusing on one long-term visionary project that fits your research interests and expertise should be the main goal of a junior faculty. There are so many interesting problems around you, but there is probably only ONE big-impact problem that would truly fit your background which you (hopefully) can solve within your precious pre-tenure adventures. Join a diverse delegate list of early career researchers and invited experts to discuss the barriers and opportunities facing the development of rapid diagnostics for infectious disease. The main themes identified at this workshop will be shared with various research funders and stakeholders. Don’t miss this chance to discuss some of the exciting developments in diagnostics for AMR and to share your thoughts about how to support early career researchers working in this field. Register by 6th November to attend! You are currently browsing the Lab on a Chip Blog blog archives for October, 2017.